In our View 2019 cover story, you will see how the in-house counsel we profile from Coast Capital Savings, Xerox Canada, Pethealth Inc. and ArcelorMittal Dofasco are extremely focused on the initiatives their business units are working on for the year ahead. 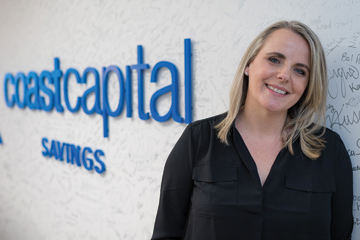 For Lisa Skakun, her return to Coast Capital after some time spent at fintech startup Mogo Finance Technology Inc. comes with the title of chief corporate development officer. She is actively looking at the opportunities the credit union should be involved in while at the same time focusing on its expansion nationwide. 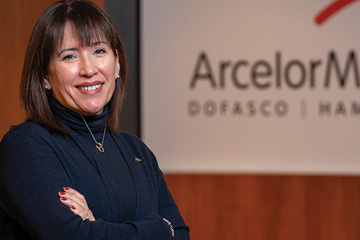 For Lisa Marcuzzi at ArcelorMittal Dofasco, continuing to monitor the trade issues dominating the headlines over the last year are top of mind, along with dealing with investment to revitalize the company’s operations. Others, such as Daniel Bourque and Sacha Fraser of Xerox, are part of a push to invigorate Xerox as a tech powerhouse, managing it all with a small internal legal team in a unique situation where they are co-managing legal matters and guiding new arrangements with external counsel. In fact, for all of the companies profiled, growth is the common theme. Nothing stays the same for long these days and these lawyers are key players in the future business of these big brand names. As vice president and general counsel at ArcelorMittal Dofasco, Lisa Marcuzzi’s role is to co-ordinate the legal function and compliance for Canada. She is also the representative of the corporate secretary office. In October 2018, the federal government announced it was providing almost $50 million toward a $205-million series of projects to modernize ArcelorMittal Dofasco operations in Hamilton and Quebec. The money will be channeled into seven major ArcelorMittal capital projects across Canada and Marcuzzi’s team will support various aspects of the initiatives. The upgrades are aimed to reduce fuel consumption and cut greenhouse gas emissions. INHOUSE: What are the big areas of focus for you in 2019? MARCUZZI: We’re continually monitoring the trade landscape and watching what is happening in advanced manufacturing in Canada and particularly in Ontario. Cap and trade is also a top priority for us — a lot of the capital projects we are involved in have an element of improving the way we operate. We will be focusing on a series of modernization projects in Ontario and Quebec for finishing lines and heating furnaces. The legal department has been supporting that over the past two years in the contract negotiations. Our support has been in the area of procurement, immigration, environment and health and safety. We’re also watching developments around the existing section 232 steel and aluminum retaliatory tariffs and the recently signed United States-Mexico-Canada Agreement and the impact that is going to have on the business. We’re assessing the tariff on both sides of the border and helping them interpret that and how it impacted our commercial transactions — whether it was in the agreements or not in the agreements. We were right there with the business all the time looking at that analysis. It played a big part in our lives in 2018 and I’m sure it will in 2019. With the announcement of something like the General Motors plant closing in Oshawa, we’re automatically looking at what that means for the industry. It also means looking at where manufacturing in Ontario is going as a whole — the shrinking of manufacturing. We also look at what’s going on out west with oil and gas — we supply steel to the oil and gas industry. Steel is everywhere and it’s in every industry, and it may be more visible for automotive or oil and gas, but it’s also in construction and tin cans. Depending on what’s going on in the various industry and markets shifts our focus. Cap and trade is a top priority for us — we recognize we need to focus on this and make improvements. Much of the capital projects have an element of improving the way we operate. INHOUSE What regulatory challenges will you be dealing with? MARCUZZI: Recently, we’ve seen a significant number of regulatory changes in advanced manufacturing in Canada. In Ontario, due to the recent change in government, we’ve seen the legislative framework for employment, environment and energy change. The legal department here will be helping monitor and support the business to adapt to those changes. Bill 148, the new employment law [brought in by the former Ontario Liberal government], was a significant change and now we have to navigate Bill 147 and changes to pension regulations. There will be certain things that make sense for the business to keep in terms of Bill 148 — a lot of what was involved in that our people were already getting (Dofasco is non-unionized). The affiliates in Quebec are unionized, but Hamilton is not. INHOUSE: How do you approach the management of your department and team internally? MARCUZZI: Beginning in 2017, we have had a focus on continuous process improvements. We’re always trying to drive improvement, so we’re looking at some digitalization initiatives, document management, emphasizing opportunities to improve the business services like trying to do self-service initiatives, automated training as opposed to in-person training, the integration of legal into the business — so we’re constantly working on that front. In the year ahead, we will be supporting a project for ArcelorMittal Dofasco in the digitalization area, supporting them from contract positions and privacy legislation. We have a big diversity and inclusion team here as well, so we’re all active supporters of Dofasco’s diversity and inclusion committee and the work they are doing, but we actually have a resource from legal that works on that committee to help develop the strategic priorities. We are all generalists, but we have some subject matter expertise in-house. We have to facilitate what needs to be done for the business, but we also have those individuals who have been the first go-to in the legal department for HR, employment and labour and pensions. We also have environmental/health and safety expertise as well. We do take advantage of continuous learning and cross-training — when one of my lawyers was on leave, one of the other lawyers picked up their work. We have a Friday morning learning session where we are constantly trying to share information and knowledge. INHOUSE: How do you approach working with external counsel? MARCUZZI: Our external counsel are governed by framework agreements — these are big detailed retainer agreements we retain for the group — we do RFPs and RFQs for bigger matters. Our energy group and environmental group and technology is always looking for ways to identify a loss and close that gap and fix it. It’s amazing if it results in a $5,000 savings or $200,000 savings — those things are constantly going on in this place. We are really trying to find ways so that knowledge sharing happens and they are comfortable making the decisions as well. There are certain things we are measuring, and our business plan has certain key performance indicators around looking at where we are and where we’re not on plan. In October, Coast Capital Savings was given approval by Minister of Finance Bill Morneau to become a federal credit union, effective Nov. 1, 2018. The approval follows an extensive review by the Office of the Superintendent of Financial Institutions, which assessed Coast Capital’s ability and readiness to meet the standards of a federally regulated financial institution. Coast Capital is the largest credit union in Canada by membership, the first from B.C. to be approved to operate as a federal credit union, and only the second in Canada. Leading the expansion of the credit union across Canada from the legal and regulatory side is its general counsel and chief corporate development officer, Lisa Skakun. Skakun was general counsel from 2010 to 2015 and then went to Mogo Finance Technology Inc. to be chief legal and administrative officer for three years. She was then enticed back to Coast Capital to lead the national expansion in July of 2018. INHOUSE: As you return to Coast Capital, what are the main challenges for the business units that you are a part of in 2019? SKAKUN: There is the job of making sure the whole organization is moving into the next level of sophistication as we move across Canada, and on the corporate development side, finding those innovative partnerships that haven’t been thought of and building relationships with the regulators on that front, too. As I also have responsibility for the board of directors, I will also be focused on revamping their committee mandates and making sure the right structures are in place. To manage a federally regulated financial institution, I think we need to start seeing technology committees on boards because, as with so many businesses, technology is driving it and you need to understand it in a way that hasn’t been understood before. It has to be looked at from a strategic piece of how architecture works and how artificial intelligence works and how that all threads together to lead to a better customer experience and what the risks are that are attached to those agreements and partnerships. I would also like to see us have more of a role at the government table. I think every GC who understands legislation needs to understand that they should be at the table helping to shape some of that legislation, because if we fall behind on innovation, which I think we are, and get wrapped up in too much red tape and bureaucracy, then we fall behind. When I was at Mogo, I heard about some companies that had bypassed Canada altogether because of our regulatory complexity. INHOUSE: What regulatory matters are you focused on? SKAKUN: For things such as Bitcoin, it is early days and we need to understand more about it. We don’t have a strong regulatory structure around crypto-currency, but understanding what the potential is and do you have a responsibility to play in that space? If not, and your customers want to play in that space, what options can you give them? I know the securities commissions are grappling with whether it is a security or not. The bigger piece that applies to banking is the blockchain piece and that applies to law firms, too, especially if you look at smart contracts and the potential there. The Bank Act is also undergoing a review. Financial institutions still require us to mail financial statements, but for a small institution like Coast Capital, that adds up to mailing costs of $1 million, which 99.999 per cent of all people will just put into the recycling bin. Being part of understanding the business and having a business voice is critical because if you are just the regulatory person it’s not very satisfying from a career choice. I’m also involved in analytics of the business even with the products we offer and working with the marketing team to look at something innovative to add. I can’t say enough about the time I spent at Mogo, stepping out of a very conservative institution and going to a startup that grew and being in the trenches of building something from scratch, building brand and platform and understanding great digital customer experience and what that means from a legal perspective. Regulatory worlds were not drafted with the mind of having a great experience in an app. So how does that 18-page disclaimer look from a customer experience? I also have the corporate development role on top of the GC role now at Coast Capital, so I am looking for partnerships — whether that is merger partners and potential acquisitions. Banks get into the habit of thinking you need to build it yourself versus no, you can partner as someone probably does the digital experience much better because they are not dealing with legacy systems — they are fresh to it versus having to maintain legacy products. If you look at fintechs worldwide, they have done some innovative things around removing the friction from your banking experience. I know I drive some of our law firms crazy and I am probably about to drive them even crazier now that I’m back at Coast around what are they doing to remove that friction from legal services. INHOUSE: How do you approach managing the work you do with external counsel? SKAKUN: I work with Vancouver and Toronto firms — all the regulatory piece of our business is largely Toronto-driven. For us, 2019 will be a bit of a shakeup of outside resources. I have a Q1 initiative to review all the legal providers at Coast Capital. There are some great lawyers we work with at some great firms, but I continue to be a little disheartened that as the client I need to come up with the innovative idea versus slipping back into that standard billable model or blended rate. There’s really nothing strategically helping me beyond offering a technical expert on something versus saving me something on the day to day and making my life easier. What I’ve asked of the team is to look at our three-year spend and where it went — what was the return on investment on legal spend in terms of internal learnings and what work should now really be staying with us and what are those basic things that are low hanging fruit that can go out or that are so technically complex we don’t have the expertise in-house. If there is no ROI and somebody spent three years sending technology contracts out to a firm if there hasn’t been ROI on that, why not? I continue to be a bit disheartened by the lack of progress on the billing model. It’s kind of the same tick boxes: billable hour, blended rate or fixed fee? Nobody is really looking at anything else. They have all the data and the technology is starting to exist so, like other industries having to change and morph, why aren’t the big firms doing that? Why are they waiting? There is an ongoing issue of managing the costs of legal services. People have sticker shock about legal bills in a way they don’t about consultant’s bills, for example. They are happy to pay the Deloittes and PWCs of the world, but legal bills have a “wow” factor. You’re always defending the outside spend. If you think about law as a practice, you could compare it to banking: There is the old conservative ways of doing things, but until somebody challenges it, nobody moves. The model is very profitable, so why change it? When I look at banking and the analytics attached to banking in terms of what is important to you, it should be not just to sell you a product but to sell you the right product helpful to your life. All that data is in your financial information, yet banks and credit unions have not done a great job of actually using the data. I would be able to tell from your banking data how old you are, where you work and your spending patterns. Do you have insurance? Are you having a baby? Do you need a registered education savings plan? How much savings should you have at age 30 versus age 40? If you wanted to buy a home, what path should you be on? Law firms have all those transactions and billable hours recorded, too, and yet they don’t do anything with the data — they tell you they can’t predict how many hours it will take to do that transaction or that piece of litigation. INHOUSE: How do you manage your team internally? Are you looking to expand? SKAKUN: We have 12 lawyers at Coast Capital and we will be looking to expand that — to enhance the corporate development, regulatory and cyber side. The level of complexity we’re dealing with takes it up a notch as we move to expand into other provinces. I believe lawyers need to be in the business and understand the business, so I think it’s important to understand that. Having been at a fintech, I saw that a lot. 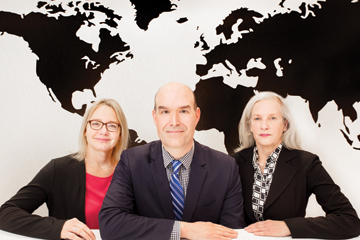 After the retirement last year of long-time Xerox Canada general counsel Dorothy Quann, the company named Daniel Bourque and Sacha Fraser co-lead counsel for Xerox Canada and its subsidiaries here. Bourque and Fraser support the Canadian operations as well as some business units in the United States. Bourque’s work is centred around corporate commercial work — all enterprise transactions — and is corporate secretary and chief privacy officer for the Xerox entities in Canada. Fraser handles litigation, employment and procurement, ethics and corporate security. “We work very closely with one another, so you really have two lawyers collaborating and overseeing the governance of the organization from a legal standpoint,” says Bourque, adding that they both report into the U.S. but are not actively managed from the U.S.
“We both play to our strengths. What Dan handles is very clear and what I handle is very clear to our clients; there is no ambiguity around who to call. When one of us is unavailable due to vacation or other reason, we seamlessly pick up each other’s work,” says Fraser, who has also held three different roles outside the legal department in the Xerox business in operations and strategy, roles she held from 2010 to 2016. INHOUSE: What are the main projects you are going to be focused on this year for the business? BOURQUE: We are moving to more of an integrated model in terms of the way we provide shared services and that requires a lot of legal input. I think if you look at the IT industry, a lot of people are looking at organizations that are younger than we are — such as Apple, Amazon and Facebook, — and at more established IT companies and looking at what the best practices are. There are pressures in terms of delivering services and products more quickly in a simpler, user-friendly way and that applies to business-to-business relationships. We want to instill a startup mentality to the way we do business and we have very lofty aspirations — we want to be a tech powerhouse and dominate the market we’re in and also expand with new offerings. Most of our business is not in a growth segment, so we really want to make sure that we explore untapped potential in the market when it comes to documents. We have global research centres, PARC, in Palo Alto, California and one in Mississauga, the Xerox Research Centre of Canada, our advanced materials research facility. The XRCC is also collaborating with the National Research Council on the Canadian Campus for Advanced Materials and Manufacturing, to help advance innovation in Canada. FRASER: I handle counselling all of our litigation, commercial and labour and employment disputes and operations, whether it is a delivery group/purchasing and partner organization, as well as non-dispute counselling for the HR organizations. Dan supports the field group and I support operations and disputes. We’re uniquely positioned in that we see all the moving parts and that’s where we can be a really valued business partner because we can issue spot, connect dots and in some cases provide institutional knowledge. Some major issues we have tried to help the business units with include those that, as the company changes we have been trying to make repeatable tools and templates and ask the clients to start thinking about measuring the success of their business initiatives that contain legal risk. As a business partner, we assist the client in looking at flexible or alternative business models and give them the tools to allow us to handle the volume of work that may come from transformation. We then meet regularly to debrief and understand the success of the change and approach and measure whether the risk balancing was worth it. It’s about looking at change collaboratively and providing input to the client in terms of the relative risk and what ultimately transpired in terms of the risk they thought a transformation project was going to entail and what ultimately ended up happening. Xerox is also continuing to expand its indirect channel, where our route to market is through partners; so legal is involved at the ground floor of these growth initiatives where we are building out new or expanded programs for our sales and delivery partners. INHOUSE: What regulatory challenges do you have to deal with? BOURQUE: Like everyone else, we have privacy challenges we have to deal with. We also have to make sure, on an ongoing basis, that we are compliant with competition law. We do have the luxury of not being in a business that is not overly regulated. I would say regulation really comes into play when we are doing business with clients that are heavily regulated, such as the financial institutions because they will want to make sure we are following the same regulations, especially if they outsource work to us. That’s when it becomes more front of the line for us. The client will give you a set of regulatory requirements to follow, indicating where we have to comply in addition to the service-level agreements. INHOUSE: Are you doing any major projects within the legal group next year? BOURQUE: Yes. We are using a solution called Apttus in the U.S., which we are going to try to roll out to other parts of the world including Canada. It’s used in connection with Salesforce and it is fabulous for searching for contracts. Right now, we have made incredible progress in terms of data retrieving, so the next step is drafting. The tool is going to help us negotiate our contracts; it’s going to give us empowerment options when confronted with certain client demands, so that’s the next step in the evolution. I’m becoming a convert — these solutions are quite useful and save so much time. Everyone reacts to technology differently, but this just makes my life so much simpler. The next step is contract analysis. INHOUSE: What’s your approach to managing external counsel in Canada? BOURQUE: Xerox has several legal providers. There is no real magic to it; often-times, you will establish what can be very personal relationships. We have had a lot of repeatable work as of late that requires outside counsel and Sacha has been looking for counsel that can provide economies of scale in terms of how they bill. We also look for service providers who want to invest time in terms of getting to know us and service providers that provide practical advice. If someone is not doing work we consider to be at a certain standard, we have no hesitation to change or seek services elsewhere. Just because it’s a long-standing relationship doesn’t mean we will accept sub-standard work. General counsel can be a tough crowd. I think law firms are making a valiant effort in terms of reaching out to clients and offering solutions that are better tailored to what they want and offering consulting services. We’re seeing it from large firms — having a consulting arm in addition to traditional legal services. I think that’s all good. We personally haven’t benefited from that, but I think certain firms are trying to be more in tune with their clients’ requirements and they should be doing that if they want to stay relevant and keep evolving in this marketplace. It’s true that sometimes it is more marketing than anything. If I look at some of the service providers out there, I think there is something to be said for what law firms call the consulting model; I think it makes a whole lot of sense. If you look at areas such as privacy, to have a consultancy model for that, it is better suited to smaller companies. I think law firms are making a conscious effort to come up with solutions, because with hourly rates the way they are, consulting with a law firm is becoming a very costly proposition. Even with large, publicly traded companies, efficiency has to come into play. We are a service provider as well and we’re seeing this pressure from the marketplace, just like a law firm, so we have to adjust the way we do business as well. We have to adhere to budgets. We need advice that is pragmatic and quick. Service-level agreements are imporant, too. We are expecting our counsel to respond to us quickly — typically within an hour and hour and a half. FRASER: We are working with all of our outside counsel providers to look at alternative fee arrangements and to look at ways we can approach different types of files in a more creative way that works for both client and outside counsel. I’m embarking on some cap and collar arrangements in different provinces for different types of files. I think they have a lot of merit because outside counsel and internal counsel can maintain a focus on the file in a way that we’re aligned and that we share risk together and neither client nor supplier is dis-incented by the arrangement. I also appreciate my outside counsel partner’s willingness to at least, in the first few engagements, constantly track the success of the model and to debrief just as I do with my internal clients whether a strategy is working. We have a very experienced paralegal and other internal resources. We are asking outside counsel about ways we can assume some of the work internally to keep some of the costs down. The other new area we’re getting into is artificial intelligence — using predictive databases more in terms of informing areas of the law such as employment law. In certain cases, we will do the AI database search internally instead of paying outside lawyers to do it and then I will discuss it with them. Part of what’s been interesting for me is looking at the trends; when you have a lot of employment cases — stepping back to see what cases are capable of settlement versus those that tend to settle much later in the litigation phase. We are also asking outside counsel who are newer to Xerox to invest in some education. We ask that they bring their new proposed team to come into our offices to understand our culture better, learn about our business and do it on their cost as it’s an investment on their part to learn more about the client. I’ve also been working on privilege — it’s a constant issue that as in-house counsel we have to be vigilant about and conducting lessons learned with our clients. A member of the executive leadership team at Pethealth Inc., a Fairfax company, Harpreet Sidhu focuses on corporate compliance and oversees the legal affairs of the corporation, including litigation, general contracts, employment law issues, mergers and acquisitions, and patent and trademark matters. She also manages governance and regulatory compliance for the corporation and is responsible for all in-house ethics programs, government affairs and public policy activities on domestic and international affairs. 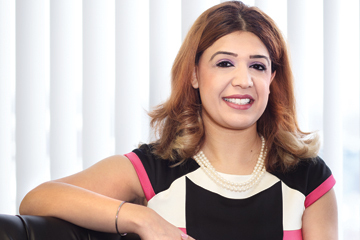 She also oversees legal operations in Canada, the United States, Germany and the United Kingdom and manages the day-to-day legal relationship between Pethealth and parent company Fairfax Financial Holdings Ltd. Sidhu is the solo lawyer in-house, supported by a part-time legal assistant and a full-time compliance manager. INHOUSE: What do you see as the main projects/initiatives you will be focused on for the company in 2019? SIDHU: We are not just an insurance company, we are a part of the entire life cycle of the pet from pet adoption to microchipping to insurance to online retail and pharmacy. The last four years have been a journey of rebuilding at Pethealth. We have grown progressively in the past five years by acquiring the pet insurance book of business from PC Financial and RSA. Each year we have made progress as a team and as a business. As we continue on our journey, the theme for 2019 is growth. We remain focused on continually enhancing the experience and engagement of our team members and are committed to investing in each of our people professionally and personally. This is the key to our overall success and looking after these growth priorities is what fuels Pethealth’s financial growth for the future with our people, our pet parents and our partners. Given the legal landscape, some of the key initiatives will be enhancing legal education throughout the company. We strongly believe that knowledge is power. We are going to be undergoing security training and awareness programs in 2019 as we have done in the past. Enhancing legal and compliance education within the organization will ensure we are able to reach our people, our customer and our partners. We are kicking off the year with wellness and stress management workshops, seminars and education for our people. The legal team is also strongly and openly involved in customer escalations when it comes to insurance and our microchip business. We have determined that visibility to our customers is the best approach. With security awareness training and programs in 2019, we can ensure our people know best when working with customers’ private data in light of new European Union General Data Protection Regulations and PIPEDA regulations. Legal is also partnering a lot more with IT this year on major projects and initiatives from a security perspective. INHOUSE: Are there specific regulatory challenges you have to deal with? SIDHU: We have had to develop a very robust process for working with insurance industry regulators; especially when it comes to our North American business where each state and province has varying requirements for not only our business as a whole but for individual insurance agents and adjusters. Insurance regulators tend to work very fast! This requires us to work closely with our insurance and human resources teams; ensuring that they are well educated on the requirements for initial licensing and renewals for individual agents [and] adjusters, among other topics. Ethical workplace behaviour, stress management, security awareness and privacy are active issues in the company. INHOUSE: What are the major issues you are focused on for the business units next year? SIDHU: We recognize that “legal culture” is different globally. This has always been challenging for us as we are headquartered in Canada with European operations. Understanding the people piece and the employment culture has been a huge challenge for us. We now understand that one size does not fit all, and litigation and legal norms are perceived differently in each country and/or state or province. This is something we are going to be pursuing on an ongoing basis. We are going to work toward recognizing culturally based perceptions of leadership and collaboration. We are also going to continue to build strategies that fall in line with local culture. That also ties in with diversity and inclusion. In addition to this, many of the activities our business units engage in involve regulated sectors and we’re really trying to instill a culture of “compliance by design,” which involves increased consultations between our Legal team and our business units in the infancy stages of new projects and initiatives. Through this, we aim to increase awareness and comprehension among the teams about the importance of ensuring all our processes meet legal requirements and improve efficiency and clarity during the planning stages. INHOUSE: What is your approach to managing your resources with respect to external counsel? SIDHU: We are moving away from one or two big firms and using local counsel has proved to be beneficial for us. They understand the norms and cultures of the jurisdiction and have been able to provide a more realistic opinion and sound advice — much less corporate. It has also proved to be less expensive.